In 2017,Conservation Officer Richards received information of trumpeter swans that were killed south of Fergus Falls.. After a lengthy investigation, 3 adult men were charged with killing these swans pictured. 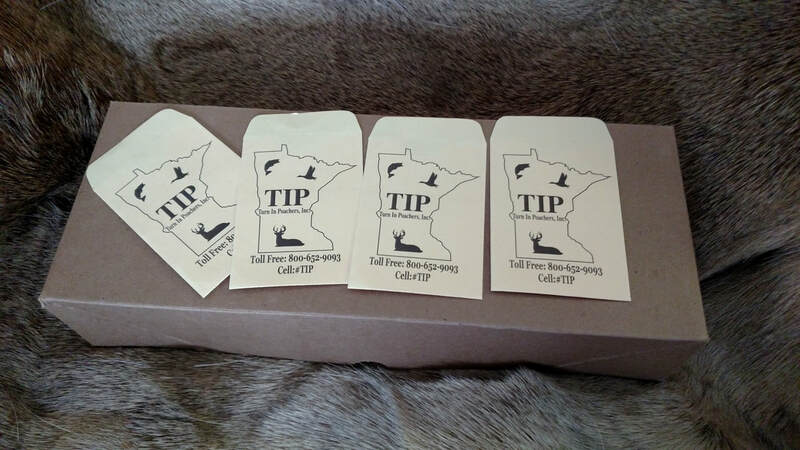 As part of TIP's work to help deter poaching, we provide hunting and fishing license envelopes that contain information to report a violation. They are distributed through ELS vendors that participate. If you would like to order them for your business or personal use, we can mail them to you.